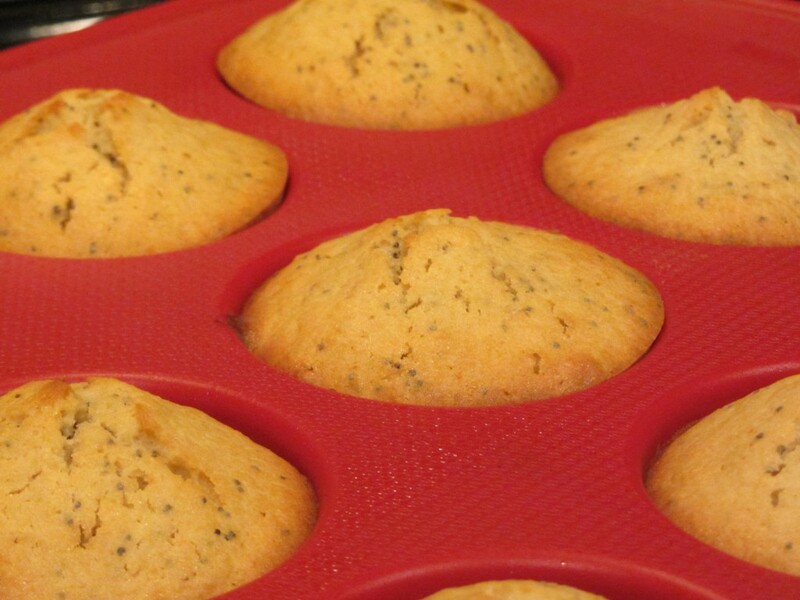 I absolutely love almond poppyseed muffins, but they are really hard to find out or in grocery stores. 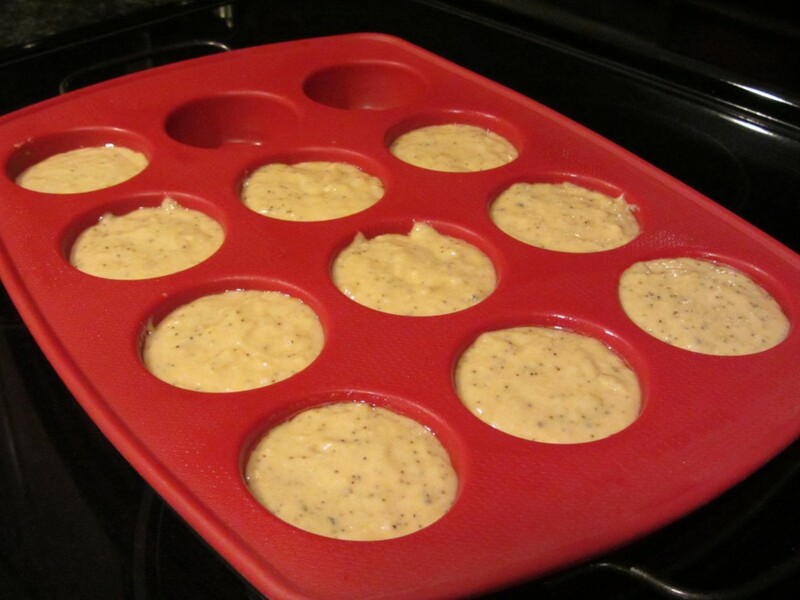 Most of the time, muffins with poppyseed will be lemon poppyseed muffins, which I don’t like at all. Plus, muffins are so easy to make that there really isn’t a reason to buy them out. At home you have much more control over the ingredients and calories. I’m heading to a brunch potluck in a few minutes and needed to bring something that I could make from my pretty bare pantry. 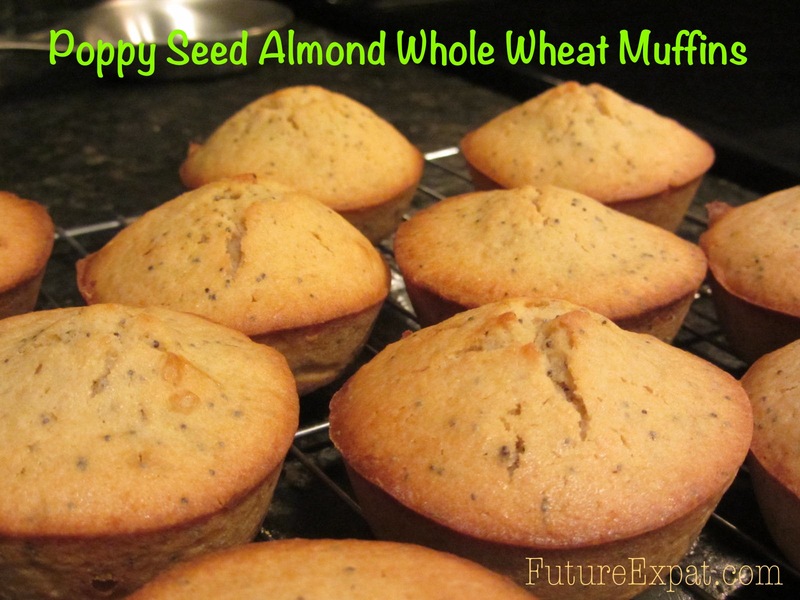 I’ve made a variation of these muffins before, but I decided I wanted to make them more healthy. 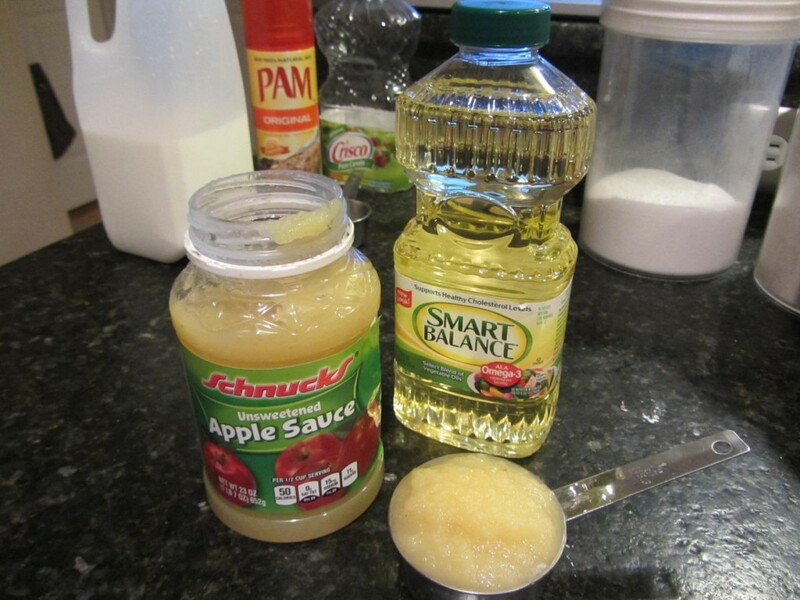 So I used my trick of substituting applesauce for half of the oil. You’ll want to use plain applesauce. No chunks and no cinnamon. I buy the store brand in a resealable plastic jar and keep it in the fridge for baking. If you don’t have applesauce but really want to make these muffins, you can substitute vegetable oil, but they will have a lot more calories. I also decided to turn this recipe into a whole wheat recipe. One of the ways to make whole wheat recipes that aren’t as dense as regular whole wheat baked goods is to use unbleached white whole wheat flour. I use the King Arthur’s brand. No one would know it’s a whole wheat recipe if you didn’t tell them. 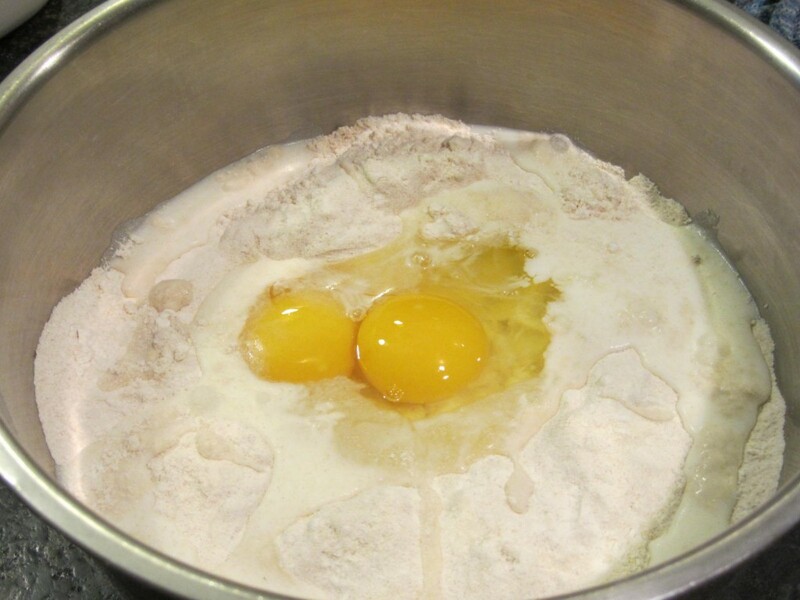 If you like the texture of the denser flour, go ahead and try this with regular whole wheat. I’m sure it will be fine but haven’t actually tried it. This recipe makes 10 muffins. Feel free to adjust the recipe to make more or less using the handle serving size drop down in the recipe card below. 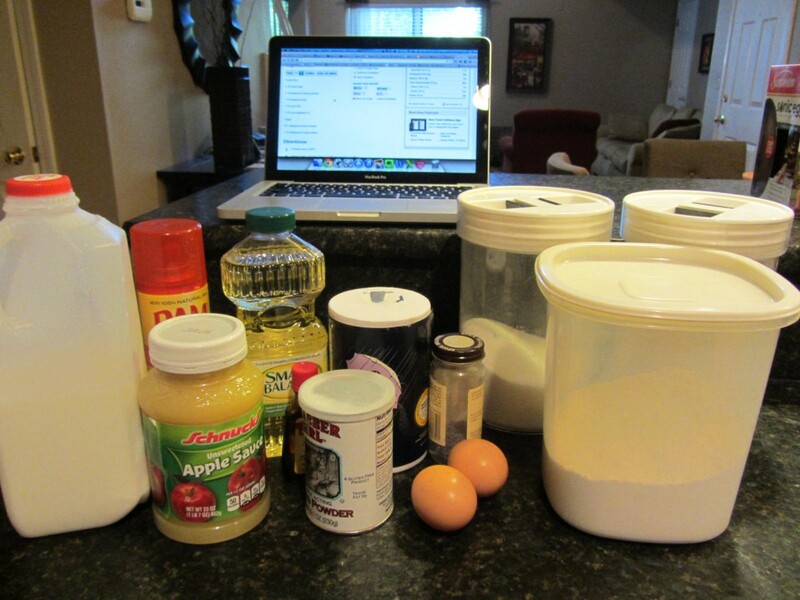 This is a one mixing bowl recipe! No need to beat the eggs in advance either! 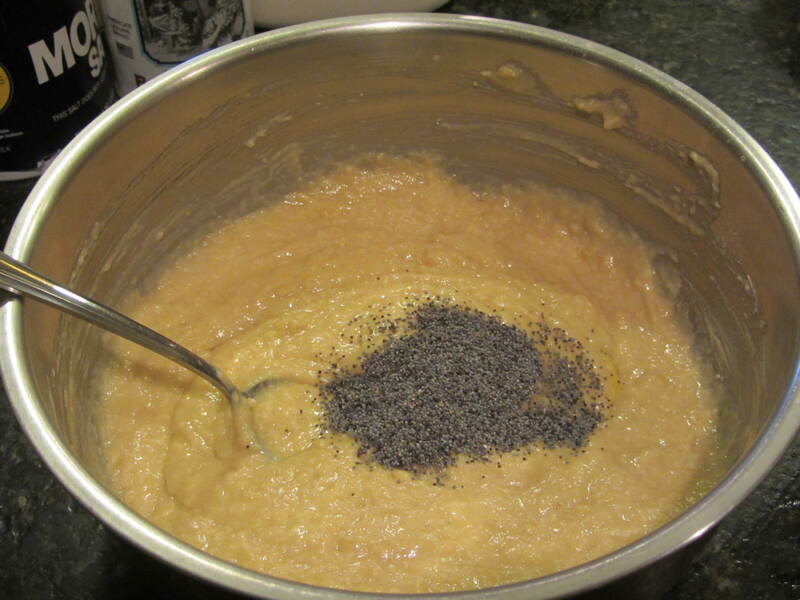 Mix all of the dry ingredients first, then the wet ingredients, then add the poppy seeds. Spray the pan, fill the muffin tin, pop in an oven preheated to 350 degrees and bake for 25 minutes or 9 minutes for mini-muffins. That’s all there is to this recipe! I’m so glad you liked the muffins. And happy to know about the whole wheat and splenda subs.